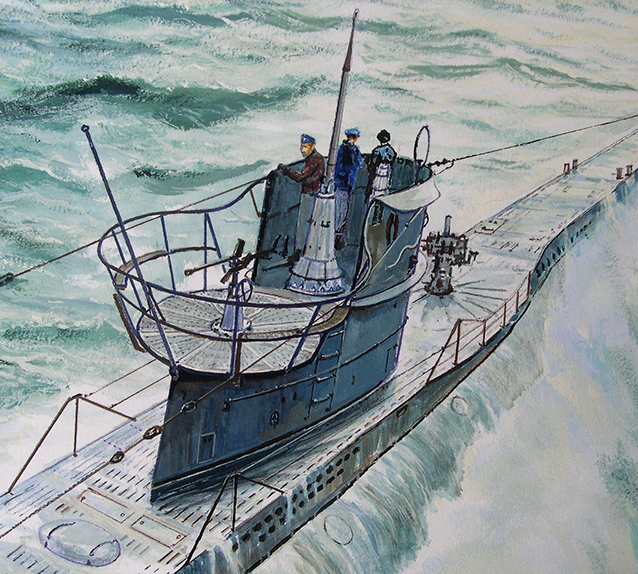 Le sous-marin U-331, un Uboat de type VII, s’apprête à torpiller le cuirassé HMS Barham en Méditerranée le 25 novembre 1941. 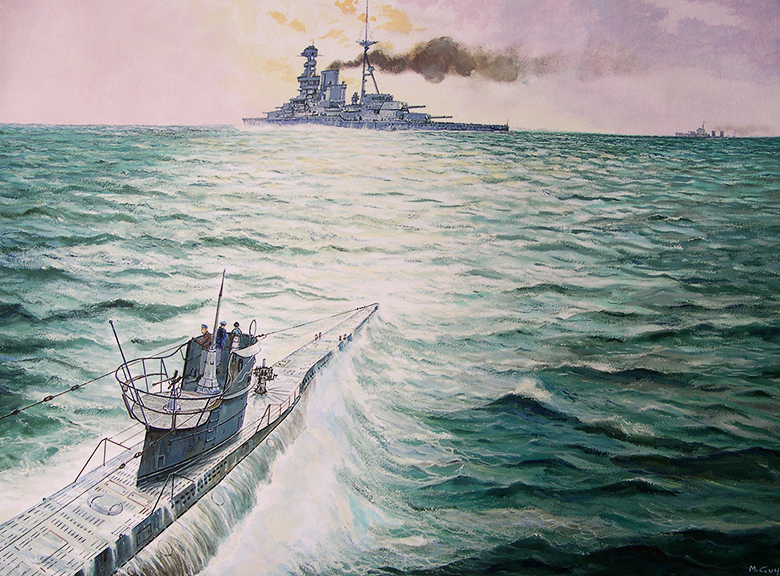 U-331, a Type VII U-boat, prepares to torpedo the battleship HMS Barham in the Mediterranean on 25 November 1941. Subsequently the resulting hit caused a massive explosion on HMS Barham resulting in her loss and that of 2/3rds of her crew.